How tortured was Bill Belichick when he watched a less talented team in the Baltimore Ravens finally get past his New England Patriots in the AFC Championship Game?? He would have had a different game plan had he made the Super Bowl and faced Colin Kaepernick a second time. It’s been his history. He’s in the midst of rebuilding the Patriots defense with many young defensive players maturing. Here at Taylor Blitz Times, our CEO had this team picked to win last year’s Super Bowl. With a solid quiet off-season, who could possibly get in the Patriot’s way?? Uhhh…. did we say quiet?? 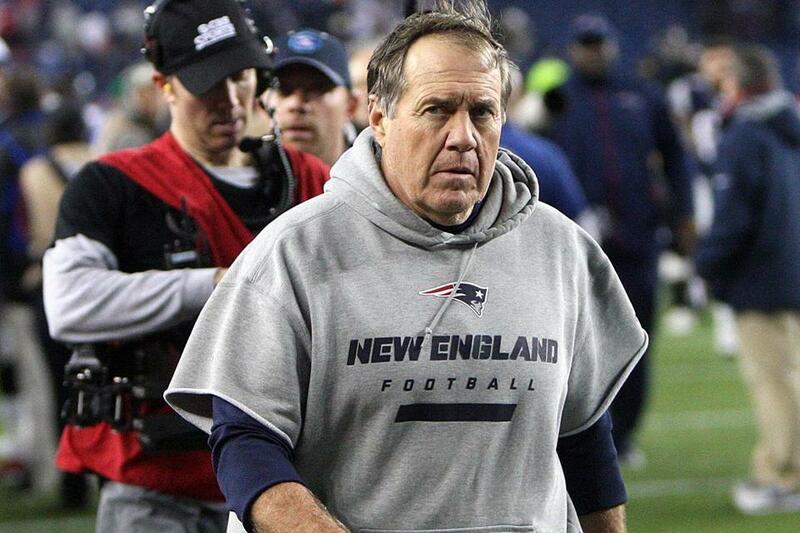 Bill Belichick has to have aged with this offseason. This will be a coaching challenge unlike any other in recent memory for his Patriots. For once the Patriots have had a tumultuous off-season and we have to see how this affects the team. In the past there were surprising cuts like Lawyer Milloy’s release just before the 2003 season opener. Yet that’s just it. That move was right before the season, where preparing for a regular season opponent kept players from dealing with it too much. Now TE Aaron Hernandez, who may have to step up if Rob Gronkowski is slow to recover from surgery, has been arrested for first degree murder. What will happen to his two TE offense now?? No Wes Welker to turn to as Belichick did last year when injuries hit the tight end position. Do we know if there is lingering fallout from Welker’s departure?? How could one who produced so much for this organization be so disregarded at the negotiating table?? Now Danny Amendola is the big ticket receiver and he comes in with marginal credentials. Teammates are definitely looking at that. By the way, Gronkowski is laying on the table after surgery on his forearm and now another on his back. When will he come back?? Will we have the old Gronk when he does come back?? With this latest situation with Hernandez, it throws the offense for a complete loop personnel and practice wise. When Ray Lewis went through his arrest and trial it started in January and was over with by May. All of this after Belichick diffused the media situation when he signed Tim Tebow, now questions arise about where will he play. The Patriots completely cut ties and released a disgraced Hernandez. 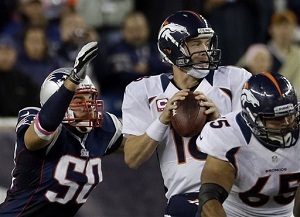 Now does this slow the decision to trade backup QB Ryan Mallett as many Patriot insiders believe?? Keep in mind, this isn’t 2003 where the Patriot locker room was a veteran laden group with Tedi Bruschi, Willie McGinest, Ty Law, and an in-coming Rodney Harrison. This is a young group and this will have some affect on the team overall. Sure they have Tom Brady, but we’re talking leaders within the rank and file of the Patriots. A soon to be 36 year old quarterback isn’t the same as a 36 year old Ray Lewis inspiring the rank and file of the Ravens. Not raising the physicality of his football team. Once you think about it, maybe the Patriots can learn something from those Ravens that beat them last year. This could be Belichick’s greatest coaching challenge. The ace up his sleeve is future Hall of Famer Tom Brady. Yes, but for how much longer?? Quarterback: Think back to the early part of this off-season. Tom Brady renegotiated his contract to offer the cap relief he believed would keep Wes Welker in the fold. At best they would be able to acquire a top notch receiver to go with the continuity they had at tight end. Now Hernandez is released, Welker is in Denver, Brandon Lloyd released, and Gronk still recovering. ESPN’s Numbers Never Lie put out a stat last week: Of the 346 receptions made by Patriots WR/TE, 91% were by players currently injured or no longer on the roster. Welcome to the summer of Tom Brady’s discontent. To underscore the enormity of the situation, Brady is coming off back to back seasons of 5,235 yards with 39 touchdowns in 2011, and 4,827 yards and 34 touchdowns last year. The Patriots scored 513 points in 2011 then 557 last year. After a 3rd straight 500 point season, they equaled the 3 straight years of 500 point seasons of the St Louis Ram’s Greatest Show on Turf. Now he has a short off-season to get to know a new bunch of receivers. With his place in history already secured, this could prove to be his greatest challenge as well. The key to getting to Brady has been to clog his underneath patterns and allow the rush to get to him. Once he’s hit in the legs he does look down at the rush. He’s going to need players making the right sight adjustments with him this year and there will be more breakdowns or playcalling will limit the offense. The Patriots are still Super Bowl caliber at quarterback but will his new personnel keep him from reaching that game itself?? 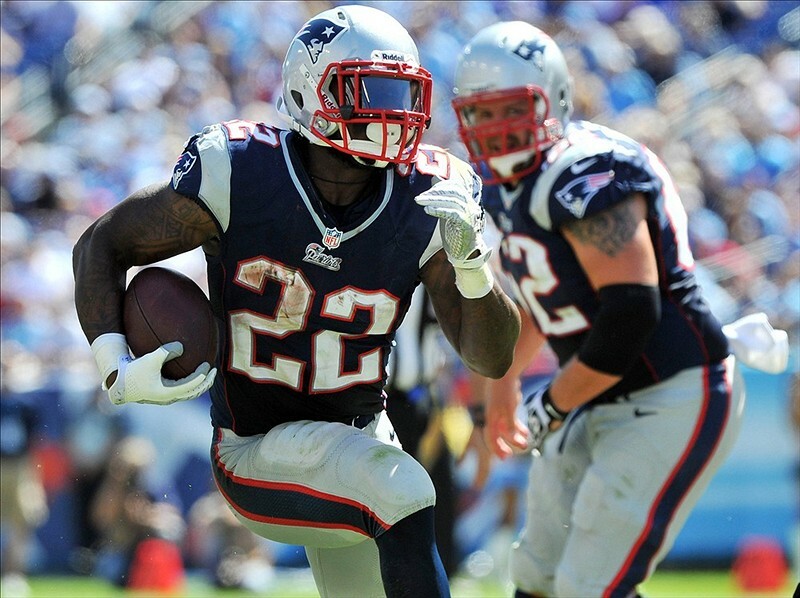 Can Stevan Ridley carry the full load in the Patriots backfield? Offensive Backfield: One position that is solid on this side of the ball is running back. Third year back Stevan Ridley proved to be an effective runner after a 293 attempts for 1,263 yards and 12 TD performance in 2012. The one thing he will have to do is pick up the receptions out of the backfield (40) that left with the release of Danny Woodhead. Yet let’s face facts, when Woodhead was in the game the Patriots were going to pass the football. Going into 2013, most fans outside of the North east remember Ridley from that crushing hit taken in the AFC Championship Game from the Ravens Bernard Pollard. To that avail, Belichick traded for LeGarrette Blount formerly of the Tampa Bay Buccaneers for the heavy carries. At 6’0 247 lbs, Blount is a heavy hitter between the tackles. Once you throw in a Shane Vereen and you can see the Patriots will be solid at running back. Or in our eyes playoff quality. Of the two rookie receivers, Boyce presents a dangerous element to the Patriots receiver arsenal. Receivers: Now with Wes Welker running routes for Peyton Manning 2000 miles away, Aaron Hernandez getting used to life on cell block B, Brandon Lloyd released, and Rob Gronkowski recovering who is Brady to throw to?? Well “The Hoodie” has brought in a few receivers in the draft in Aaron Dobson (2nd round) and Josh Boyce (4th round) to accompany Amendola to camp. These guys absolutely have to get in camp and develop their timing with Brady. Everything from audibles to sight adjustments to non-verbal communication to keep from slowing this offense down. Amendola will play the slot in 3 receiver sets and will be the “Z” in traditional formations. Dobson and his 6’3 frame is thought to be the “X” and has decent speed (4.4/40). Boyce has great speed (4.38 / 40) and looks to play in multiple receiver sets unless he unseats Dobson as a starter. He presents the deep threat that hasn’t been in Foxboro since Randy Moss departure. This has been an obvious weakness in recent years as teams sat on all the underneath routes in every one of their postseason defeats. If Dobson is slow to develop, Donald Jones should figure prominently or Michael Jenkins formerly of the Falcons. These would be steps back however. To team with Gronkowski at TE will be Michael Hoomanawanui, Daniel Fells, Jake Ballard or possibly a move here with Tim Tebow. Or at least the competition will include these men. When in reality, Hernandez’s skill set can’t be matched by any of these players. None have even been long time starters and are all mediocre journeymen. Expect a slow descent on the use of the 2 TE offense or a huge drop in production if they try to stay with it. Receiver has dropped to below average in Foxboro. Offensive Line: This group won the John Madden award for the best set of protectors a few seasons ago and wasn’t too far off that performance in 2012. 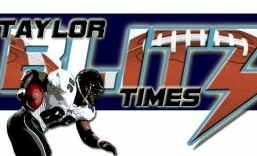 Last year they were 6th in sacks allowed with 27 and tied for 11th in quarterback hits allowed with 67. However if the receivers don’t develop outside, these numbers will go up. Brady isn’t that mobile and at 35 years of age, this would be the wrong time to take more hits. These numbers were made better by the ability to 1…2…3 quick pass to Welker, or Hernandez that may no longer be there. Where this group is tremendous is their run blocking from passing formations. They paved the way for 2,184 yards and 25 touchdowns. Most of which came from running out of the shotgun and multiple receiver sets. However in power rushing situations on 3rd/4th and 2 or less, this group only converted on 56% of the time to the strong side. That isn’t enough. Although they re-signed RT Sebastian Vollmer, there are rumblings he is in for a battle with Marcus Cannon in this year’s camp. This is still a playoff level group. A stronger defense will be needed with the offense scoring less this season. 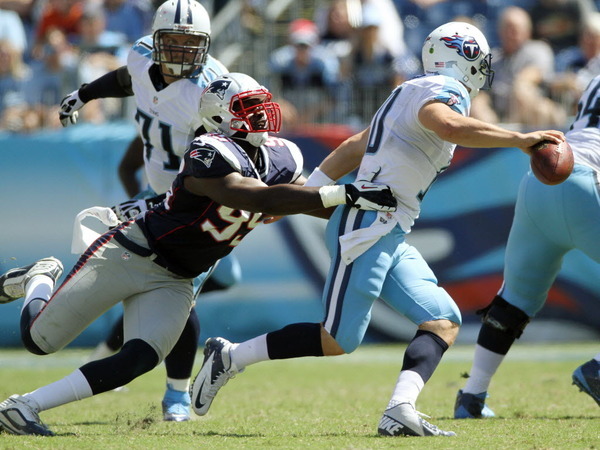 Chandler Jones can’t afford a sophomore slump. Defensive Line: For the last several years, Belichick has been getting by on schemes and situational juggling of personnel. Vince Wilfork (the [[_]]) has been a mainstay (49 tackles/3 sacks) but aside from Rob Ninkovich (8 sacks), only rookie Chandler Jones (45 tackles /6 sacks) distinguished himself. Is Ninkovich a linebacker or a defensive end?? In the nickle, Dont’a Hightower produced 4 sacks yet should be unseated by 7th round draft selection Michael Buchanan out of Illinois. A long armed athletic pass rusher that should give Belichick more to tinker with. One of the best things about the Patriots is they keep their opponents from keying in on their personnel on the line. At the same time it works against them in terms of becoming a top shelf defense. No one has been able to work to become dominant as they still haven’t found the replacement for Richard Seymour. Without a second strong lineman, this group has been in the bottom half of the league as they were 25th in defense in 2012, and 31st the year before that. This group gets by on using linebackers for much of it’s production for sack totals and has trouble stopping the run. Below average is the best we can give this group. Ninkovich has been a the wild card on this defense. Teams don’t know where he’ll be coming from next in Belichick’s schemes. Linebackers: How about the bounce back season of Jerod Mayo?? 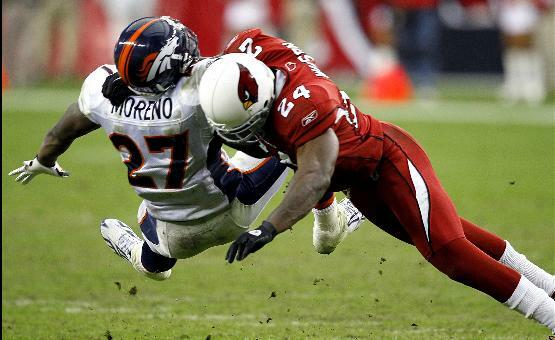 He made the Pro Bowl after registering 147 tackles, 4 forced fumbles, 3 sacks, an interception, and 3 passes defensed. Not quite his 175 tackle masterpiece of a few years ago but he was more of a factor against the pass. Only 26, he’s going to be Belichick’s defensive anchor for many years to come. Brandon Spikes was right with him with another 4 forced fumbles to go with 91 tackles, 7 passes defensed and a sack. These two accounted for 10 total turnovers. That’s getting the job done. Now throw in Hightower’s rookie performance (60 tackles / 4 sacks) and this is a Super Bowl caliber group. Secondary: A full offseason with a re-signed Aquib Talib and bringing in SS Adrian Wilson should greatly benefit this defense. Kyle Arrington needs a bounce back year where he didn’t intercept a pass. Devin McCourty had a solid year with 79 tackles, 5 interceptions, 13 passes defensed and 2 forced fumbles. Was it us, or did he look comfortable at Safety?? He gives them a Charles Woodson type ability to face 3 and 4 receiver sets if he has to lock onto a receiver. If he stays there now that Patrick Chung is healthy. We’ve said for a few years this group is set to mature into something special. With the addition of Wilson and Talib, expect this to be one of the top secondaries in football. Going into his 13th season, Wilson keeps himself in tip top shape and has been a Pro Bowl player 4 of the last 5 seasons. Over the last 5 years he’s collected 9.5 sacks playing so close to the line of scrimmage. A frequent blitzer. He automatically makes this group better. A playoff caliber group. Adrian Wilson is an attitude player that brings thunder to the Patriot secondary. Overall: You have to realize we’re coming down to the end of Tom Brady’s career. At 35 years of age how much longer will he do this?? What type of toll will this season have on him if his receivers are slow to develop?? This will be a unique study as we make our way through this season. It could be the last with the Patriots being the clear cut best in the AFC East. They will see trouble early on in weeks 3-6 when they host Tampa, go to Atlanta, to Cincinnati, then host the potent New Orleans Saints. A 3-3 record could be the situation before ironing out issues and playing to a rocky 10-6 finish. Payback will be on the minds of the Texans when they host New England in week 13. Back to back road trips to Miami and Baltimore in weeks 15 & 16, figure to be difficult as well. Last year being 100% healthy they lost 31-30 to the Ravens so expect a dogfight in that one. With their #1 offense, they barely escaped in Miami 23-16 and the Dolphins have improved their defense. This is the case if Gronkowski comes back early and is 100% for the season. If he doesn’t this team could slip to 9-7 or 8-8. Don’t forget last year they had 3 games against division opponents where games were decided by 7 points or less. Bill Belichick may have to will this team down the stretch to another division title. It will not be the same as it’s been though. 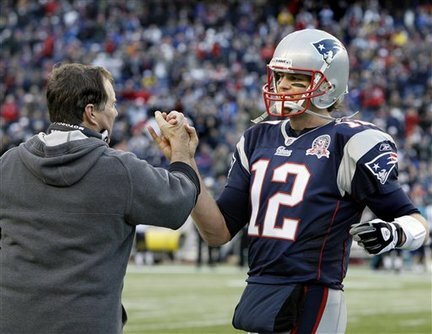 Depending on Brady’s frame of mind, the Patriots could be in a mode of complete transition in 2014. This entry was posted in 2013 Team Previews and tagged 2013 NFL season, Aaron Hernandez, AFC, AFC East, American football, bill belichick, football, NFL Players, NFL Previews, Rob Ninkovich, sports, tom brady. Bookmark the permalink.